With just four games left in the 2018 NFL regular season, Palmerbet Sports Team have NFL tips for the eight best match-ups of Week 14. Final Thoughts: The 4-8 Jacksonville Jaguars may be out of the playoffs running but they are aiming to upset the ambitions of a division rival for the second week in a row. The Jags snapped a seven-match losing streak with a 6-0 defeat of the Colts – the first time they have conceded less than 20 points since Week 4. The result was a boost for the Tennessee Titans, who moved equal with the Colts in the AFC South with a 6-6 record by outlasting the Jets 26-22 last weekend. But it was far from convincing and came on the back of heavy defeats to the Colts and the division-leading Texans. The Jaguars have won five of their last six against the Titans, including the last three in Tennessee. They also won a 9-6 slugfest in Jacksonville earlier this season. The Titans should eke out a win at home but the under looks the more attractive play here between two of the NFL’s five least-potent attacking teams. Final Thoughts: The 7-5 Baltimore Ravens are just half a game off the pace in the AFC North, while the 10-2 Kansas City Chiefs need to keep winning to rebuff the Chargers’ challenge for the AFC West title. The Ravens are on a three-game tear, accounting for the Bengals (24-21), Raiders (34-17) and Falcons (26-16). But the dilemma facing coach Jim Harbaugh is whether to stick with Lamar Jackson – a brilliant running QB with a patchy passing game – or recall Joe Flacco, whose strengths and weaknesses are the inverse. The Chiefs had the bye after their epic 54-51 loss to the Rams, responding in Week 13 with a 40-33 defeat of the lowly Raiders. It was a tough week for the franchise after star RB Kareem Hunt was released for an off-field indiscretion. Patrick Mahomes continues to dominate – racking up four touchdowns and 295 yards in Oakland – but they are leaking too many points. The Chiefs have won four of their last five against the Ravens. The Ravens won the most recent encounter at home but are winless in three visits to Kansas City. Final Thoughts: Another critical AFC South showdown, with the division-leading Houston Texans hosting a desperate Indianapolis Colts. The 9-3 Texans have won nine straight, including convincing home victories over the Titans (34-17) and Browns (29-13) in the past fortnight. The 6-6 Colts were on a five-match winning streak until crashing 6-0 to division also-rans the Jaguars last weekend. It was a baffling performance after scoring at least 24 points in their previous eight games. The Colts won both encounters last season, but the Texans prevailed 37-34 in an overtime thriller earlier this season – despite Luck’s 464-yard, 4-TD performance. The last nine encounters between the sides were decided by margins of seven or less. Texans QB Deshaun Watson is susceptible to defensive pressure and he goes up against Andrew Luck, who is second for touchdowns thrown with 32 but had a forgettable game against the Jags. After last week it’s difficult to see the Colts bouncing back on the road against a team chasing 10 straight wins. Final Thoughts: It’s pretty much just pride on the line as the 4-7-1 Green Bay Packers host the 4-8 Atlanta Falcons in Week 14. The Packers sacked coach Mike McCarthy after a 20-17 home loss to the Cardinals – their fifth in six games. Legendary QB Aaron Rodgers’ struggles have mirrored – and significantly contributed to – Green Bay’s plight. The Falcons are on a four-match losing streak and struggled for yardage in a 26-16 defeat to the Ravens last week. After averaging 28.5 points in their first eight games, Atlanta have not scored more than 19 in the past four outings. 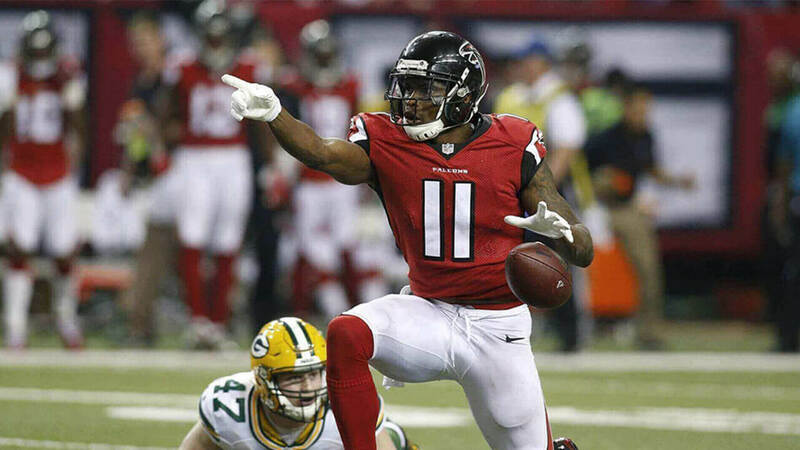 The Falcons have won their last three against the Packers, including a playoffs triumph at the end of the 2016 season. But the Packers have won the last two at Lambeau Field. The teams’ last four encounters have produced at least 57 points, but a continuation of that trend seems unlikely with both teams struggling badly on offence. Consider the under or the Falcons with a handy start. Final Thoughts: The 9-3 Los Angeles Chargers are striving to keep the AFC West race alive, while the 5-7 Cincinnati Bengals’ playoff hopes are all but over in the AFC North. The Chargers have won eight of their last nine, bouncing back from their shock home loss to the Broncos with impressive wins over the Cardinals (45-10) at Stubhub Center and the Steelers (33-30) in Pittsburgh. They trailed the Steelers by eight at the end of the third quarter but came home with a wet sail. The Bengals are on a four-match losing streak, including heavy home losses to the Browns (35-20) and Broncos (24-10) in the past fortnight. They look like a team already thinking about the off-season. The Bengals have won four of their last five against the Chargers. But their woeful defence – conceding a league-high 371 points this season – should make things pretty easy for the playoffs-bound Chargers this week. Final Thoughts: The NFC East race is one of the league’s most exciting, but it could just about be decided by a massive clash between the 7-5 Dallas Cowboys and 6-6 Philadelphia Eagles. These sides met just four weeks ago, with the Cowboys outlasting the Eagles 27-20 in Philadelphia. RB Ezekiel Elliott came up big for Dallas, racking up two touchdowns and almost 200 yards. It marked the beginning of a four-game winning streak that propelled the inconsistent Cowboys to the top of the division. They have since accounted for the Falcons, Redskins and – most sensationally – the Super Bowl favourite Saints, who went down 13-10 in Dallas. The Eagles were crushed 48-7 by the Saints a week after their loss to the Cowboys. But they have kept their title defence alive with wins over the Giants and Redskins in the past fortnight. Despite the clutch 28-13 result against the Redskins, there is still major concerns over Carson Wentz’s erratic form. The Eagles have won four of their last five in Dallas. But the Cowboys are 5-1 at home this season and should comfortably blot out Wentz after doing a job on MVP favourite Drew Brees last week. Final Thoughts: The 11-1 LA Rams and 8-4 Chicago Bears have both effectively locked up top spot in their respective divisions, but both will be hell-bent on building momentum heading into he post-season. The Bears’ five-game winning streak was halted by an overtime loss to the Giants last week. QB Mitch Trubisky is racing the clock to be fit but the Bears are confident he will line up against the Rams. The Rams have won all three games against the Seahawks (36-31), Chiefs (54-51) and Lions (30-16) since their sole loss of the season to the Saints. Jared Goff has thrown for 13 touchdowns in his past five games but was a little quiet against the Lions. Todd Gurley was strong again, however, and Aaron Donald was a defensive beast. The Bears have won five of their last six against the Rams. Five of the last six clashes between the sides were decided by 15-plus margins. This one should be much closer but count on plenty of points being scored by two of the league’s top four most prolific attacking units. Final Thoughts: Week 14 wraps up with one of the most crucial encounters of the round. The 7-5 Seahawks and 6-5-1 Vikings are both second in their respective divisions. They will struggle to run down the leaders, but a win here would be a massive boost to their Wild Card chances. The Vikings have been stuck in a win-loss pattern for six weeks. The followed up a 24-17 grudge match win over the Packers with a 24-10 away loss to the Patriots. The Seahawks, meanwhile, have won three straight against the Packers, Panthers and 49ers – scoring 100 points in the process. The Seahawks are on a four-match winning streak against the Vikings, which culminated in a gripping 10-9 playoffs win at the end of the 2015 season. The previous six games produced totals of 44-plus points. Seattle are a modest 3-2 at home – though their two losses were to the hotshot Rams and Chargers – while Minnesota have won only two of six on the road. We’re backing the Seahawks in here.